The man to whom fur craftsmanship has always been a great love, for which he has not ceased to work feverishly to this day. Lazaros Sarigiannis was born in 1956 in Kaloneri, a picturesque village next to Kastoria, in north-western Greece. He came in first contact with the art of fur in early 1969 and through his involvement with fur sewing he discovered soon that he had a special talent for design. Put simply, the choice of professional activity and interest to learn as much as he could about the fur manufacturing revealed his true talent and came to a successful marriage with his artistic temperament. The following years he worked hard, learning every aspect of the fur art, seeking more knowledge and gaining experience every day. Lazaros Sarigiannis did all this with an ultimate goal of becoming one of the best fur designers in the world. He did not quail at the difficult conditions to come and continued to work and create even when he was called to fulfill his obligatory military service in the Greek army in 1976. He joined the Greek army and was serving as a soldier for his homeland in the mornings while at nights he was designing and sewing fur coats. In 1978, after having fulfilled his military service, Lazaros Sarigiannis left for the first time his beloved homeland, and temporarily relocated to Canada first and then to America. His primary objective was none other than self-training and gaining additional education and experience in fur production. At the same time he started to search and choose the areas that will supply him top quality raw material for the manufacture of fur. In 1980 Lazaros Sarigiannis returns to Greece. In 1982 he gets the work permit as a furrier and creates his own factory, relying on his own forces. 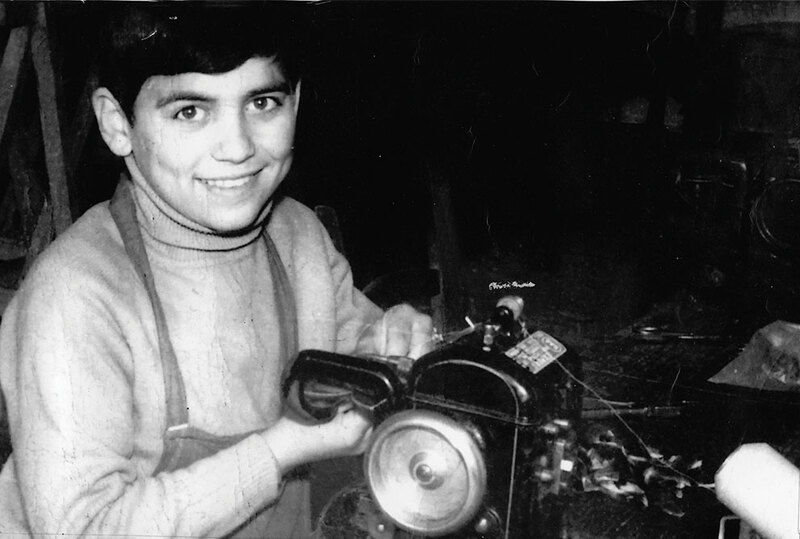 He starts sewing his own creations and selling them at his first stores in Thessaloniki and Alexandria while at the same time he successfully extends his business in other Greek cities such as Athens, Ioannina, Preveza, Stylida, Lamia, Loutraki. Ιn 1993 the seaside town of Katerini becomes a major hub for the fur market. Due to the local store opened there, a new period starts for Sarigianni Fur Fashion. The new, original and unique designs that are being sold in Katerini’s store boost wholesale and a cooperation with Russia is achieved. In 2000 the company counts several selling points in Greece, Russia and Dubai and three years later Susie and Kyriakos Sarigianni, children of Lazaros Sarigiannis, open a mink farm and the business successfully expands in this field as well. Today, SARIGIANNI Fur Fashion has official stores in Greece, Russia Kazakhstan and Dubai.